This 15 track album opens with the title track and lead single One Love. It’s a pretty simple song, rarely straying from the vocal mid-pitch, until the end where both Simon Webbe and Lee Ryan both get to show some strained powerful notes. Its slick production and beats show off all four members’ voices, although at times it feels almost as if the vocals have been over-produced in the chorus. There are plenty of echoes of garage and RnB here as expected, complete with ‘uh huh‘ and ‘that’s right‘ samples, and this undoubtedly helped them score a #3 UK hit. This is followed by Riders, which begins with a load of synth stabs set against a slow hand-clap led beat, with a scattering of pizzicato string synths. Whilst the guys sound fine here, it’s not a very interesting song over all. The chorus is by far the best part of it, and it is clear that it’s meant as a crowd participation song ‘This is for my people can you holla back – tell me where the party at‘ they sing in unison. Flexin’ follows this (and yes, it’s about flexing muscles ‘I was flexing’, chillin’ on my own‘) and opens with some gentle guitars and ‘ooh’ but sounds a lot like a vocodered Craig David meets Declan Donnelly of PJ and Duncan fame. Musically the song is really quite nice and summer time, and even the vocal harmonies and ‘ooh’ sections sound great, but the lyrics are stunted. Crackling vinyl opens next song, their cover and duet with Elton John for his Sorry Seems To Be The Hardest Word. Elton’s piano tinkles through the intro before bass and beats meet the guys in the first verse. Here, Blue sound really soulful and warm, and the space in this song makes it feel somewhat heartfelt as the strings fill the background. Elton’s vocals compliment the group, and are just as good as they were back in 1976 when he originally released the song. Lee is a bit annoying with his squealing over the harmonica section, but in the main this song is wonderful, and was the second single from the album – giving them their third and final (to date) UK #1 single. Up next it’s She Told Me, which opens with a group of samples before slipping effortlessly in a thick bassline under a slick RnB beat. This song gives the guys plenty of song and space to sing, and their vocal harmonies work really – resulting in a really nice mellow track. More of this please..
Vinyl crackle returns for Right Here Waiting, which sees the song-writer extraordinaire Rob Davis get a co-writer credit here (his many others include Kylie‘s 2001 hit Can’t Get You Out Of My Head), and therefore this song is far more pop and dance orientated than anything else that we’ve heard so far. It’s a great little track but I wonder whether Blue felt awkward recording it. Seventh track, U Make Me Wanna opens with some garage synths and beats. Again we’ve got the ‘c’mon‘ and ‘yeah‘ samples in the background. The song also reeks of Craig David again, but the strings in the chorus helps to tie it together just enough to make it catchy. The track was the third single, giving them a #4 UK hit single. Next up is a much stronger and catchy track – Ain’t Got You, which has some great synth sounds, a nice melody with a harder beat, and the vocals feel far more confident. I did have a mondegreen moment in the chorus though, where I thought the second line was ‘I got a room full of drugs – so?‘, which I thought was a bit of a clash with their public image. According to the sleeve, it’s ‘I got a room full of clothes – so?‘. Phew. I think that this would have fared well as a single. A wonderfully funky Supersexual follows this, with an intro laden with yet more ‘c’mon‘ and ‘that’s right‘ vocal samples. This track was released as a single, but only in Spain (where it was a hit) and South America in 2003. It’s a bit of a shame that it didn’t get released here too. The mood and tempo slows right down for next song Don’t Treat Me Like A Fool, which is a gentle, soulful ballad. The guys get to take their turns, and come together for some ‘mmmh mmmh mmmh’ chorus vocal harmonies as strings help to sew the song together. This is their Westlife moment, and probably can only be sung from high stalls until a key change/high note near the end (yes, there is one). Aside from that paint-by-numbers approach, this song is really good, although apart from the Elton collaboration, its different from everything we’ve heard so far on this album. The beats return as well as the ‘yeah‘, ‘c’mon c’mon‘, and ‘that’s right‘ samples return AGAIN, for the intro of Get Down. Again, Rob Davis is at the co-writer helm with group member Duncan James. This is quite a chilled out mellow number with a great bassline and light beat. The vocals are rich and warm and effortlessly weave the song together. Over all, a really nice sound. Privacy follows this, starting with what sounds like a glockenspiel or perhaps Lee playing the bottles. This is a fairly catchy song, even if it is quite a simple song. It doesn’t particularly go anywhere, but it’s quite a nice song over all. This is followed by Without You, part of which again reminds me of Craig David, but also a little of Jennifer Lopez and briefly from 2m 6s, Michael Jackson. This track is co-written by Connor Reeves, who also manages to get a backing vocal and vocal arrangement credit. It builds well and ends up fairly catchy. Similarly, next and penultimate track Invitation is also quite a catchy track. There’s some wonderful synths in this track, along with a great bassline and beat. The guys’ vocal harmonies work really well here. The album closes with the mid-tempo number Like A Friend, which is filled with bass, acoustic guitar and vocal harmonies. Again strings are there to help draw it all together and the track builds up with a range of vocal highs for the group until it gently comes to an end. Over all, this album is really quite long at 15 tracks, and probably could have done with a bit of a chop down. Still, it gave them a #1 UK chart position, but listening to it now, beyond the peak of garage, dub-step, and their careers, makes it a bit of a task. There’s three styles here: harder garage/RnB, smooth slick girl-getting songs, and teary ballad girl-getting songs. The guys’ vocal harmonies really work across many of the tracks although the ‘yeah yeah’, ‘c’mon’ etc samples get a bit tedious at times. Blue continued their success with their next album Guilty, which saw them continue to release top 10 UK singles. 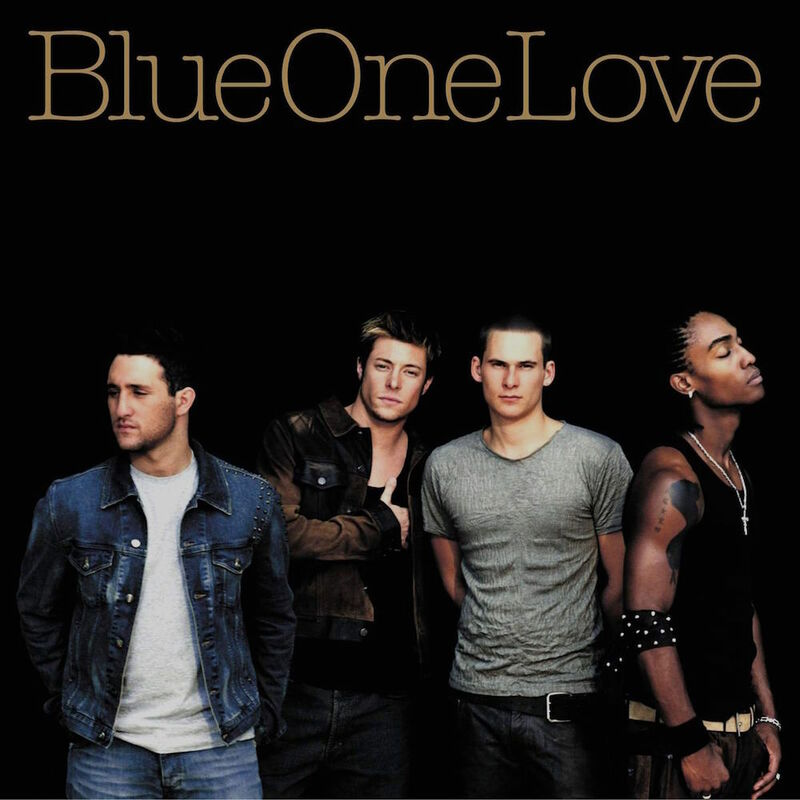 In 2004 the group released their career retrospective, Best Of Blue, and Duncan James embarked on his solo career. Ultimately, all four members embarked on solo careers to varying degrees of success. In 2011, their run of Top 20 hits ended with the release of I Can for the UK entry of the 2011 Eurovision Song Contest, which reached #16 in the charts, and was ranked #11th in the Song Contest. The group signed up to participate in ITV’s The Big Reunion show, which ultimately ended up leading to their final UK charting single Hurt Lovers followed in 2013, stalling at #70 and was taken from fourth album Roulette. The group released fifth album Colours in 2015, but whilst it charted in the UK album chart at #13, it failed to chart any singles. The group were dropped by their label. Posted in 2000s, Blue, Elton JohnTagged 2002, album, Antony Da Costa, Connor Reeves, Duncan James, Lee Ryan, One Love, review, Rob Davis, Simon Webbe, Sorry Seems To Be The Hardest Word, Supersexual, U Make Me WannaBookmark the permalink.